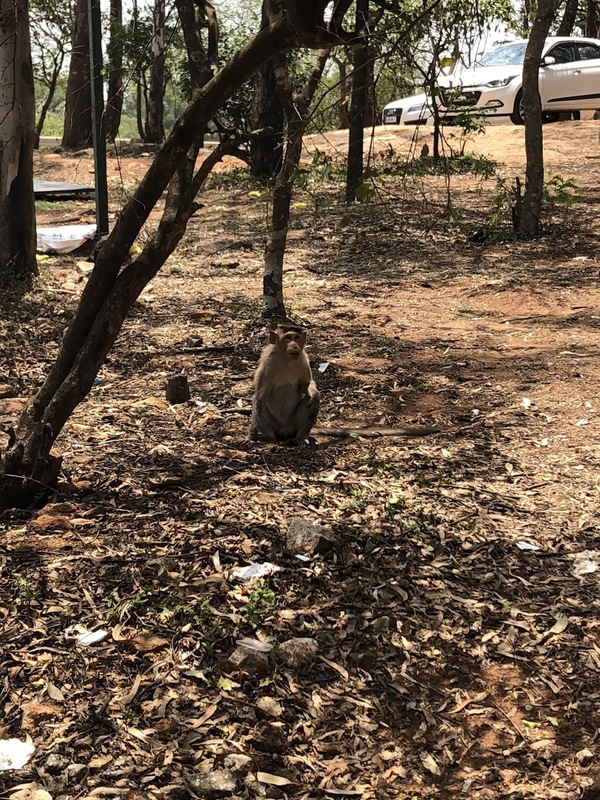 When preparing to travel to Bangalore the one thing people often told me was to look out for the animals in the street. Cows roam the city during the day and return to the owner at night. Bangalore traffic often has to make accommodations for the cows that appear in the side street. Dogs also are a common site, running from one part of the market to another. But today we were interested to two new creatures. The first were fish. We spent the morning in a Hindu Temple, learning the different ceremonies and stories, and even witnesses a snippet of a wedding ceremony. 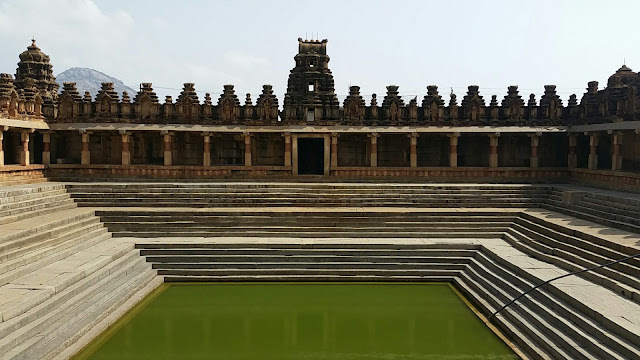 The 800-year-old temple crafted out of stone was incredibly beautiful. One section of the Temple was the Temple Tank or stone steps surrounding a small pool of water. As we got closer, we noticed the little fish that when you put your feet in they would start nipping at your skin. The Temple was extraordinary but the little fish were a fun of the day. Afterward, we went to Nandi Hill were we could see the city of Bangalore and the surrounding areas. Again the lessons of water security, city planning, and the breathtaking views themselves were enhanced by the monkeys that often darted in our paths. The people, food, and culture of Bangalore has left me in awe as I am learning to navigate this city. But the animals that we often meet along the way show a character and life that I don’t often see in the U.S.